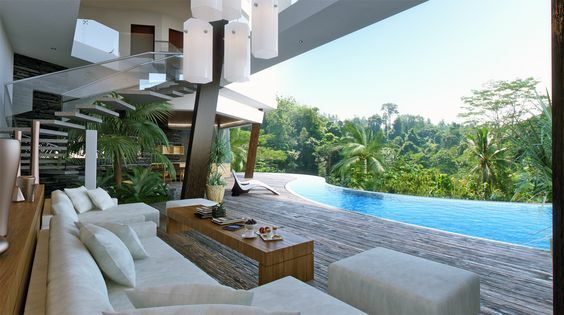 This showcase, boutique resort provides a new hospitality concept for a luxury destination. 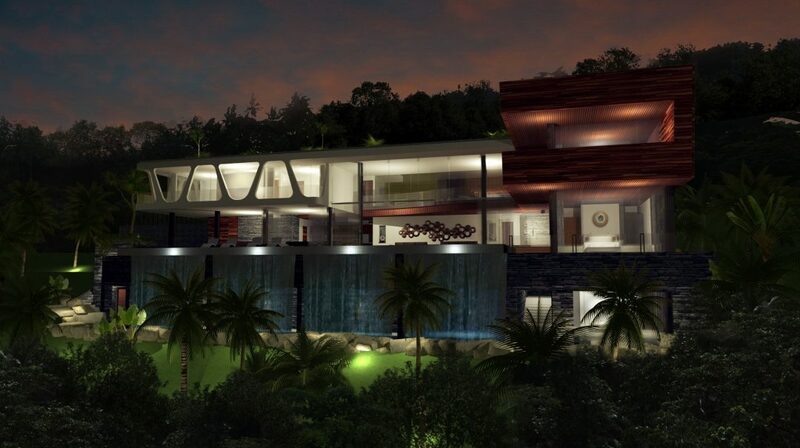 Comprised of three individual villas, these can be used as either, three seperate 6 bedroom residences, or together as one large property or high end boutique hotel. 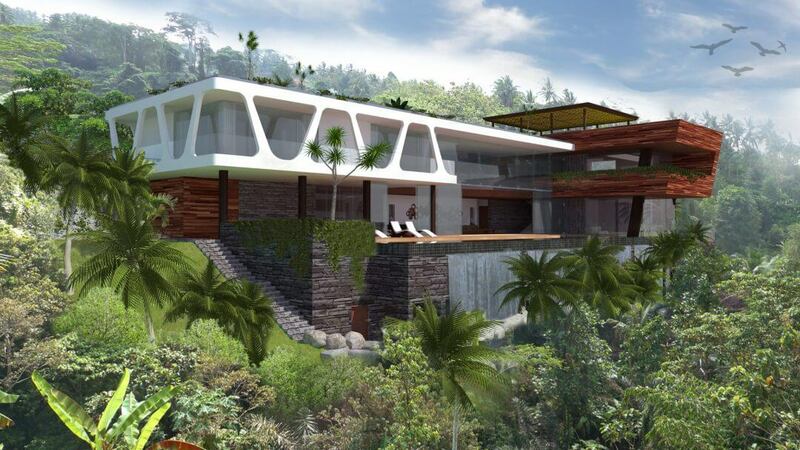 Like the beautiful stone carvings found throughout Bali’s rich heritage, these buildings have been crafted from the hillside, reaching out towards a future that is holistic, organic and instantly distinguishable. This dynamic architecture uses eco-modern building forms enriched with prefabricated low energy materials. With an array of frameless glass and clear openings, spaces remain free and light. While keeping a sleek and stylish look, surfaces range from smooth and flowing lines, to finely executed timber and mottled stone. 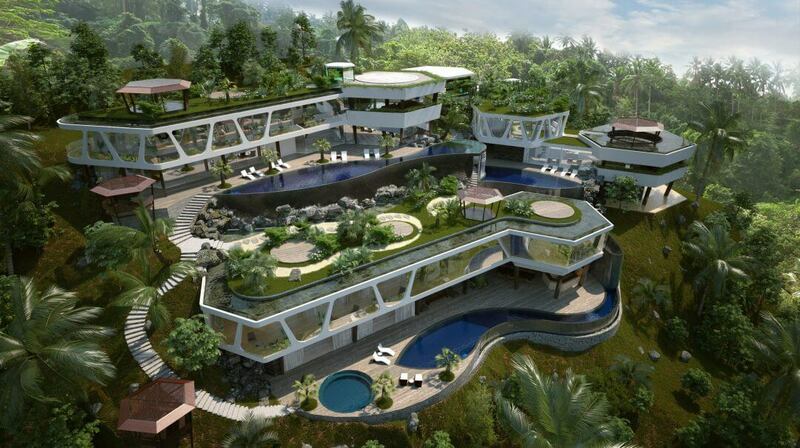 The resort provides all imaginable 5* quality features along with highlighted features such as cascading pools, unique meditation spaces, waterfall tunnels, zen roof gardens, a recording studio and smart systems throughtout its infrastructure.